Working with Dr. Clay Burke was a supreme challenge for any nurse — but for lovely young Jill Rowley, the job meant much more. She was head over heels in love with the brilliant and handsome surgeon, and Clay responded in kind. But he was a widower, with a bitterly jealous teen-aged daughter, and the marriage kept being put off. Jill felt trapped in a dead-end love, and the attentions of dashing Dr. Greg Bonnel grew hard to resist. 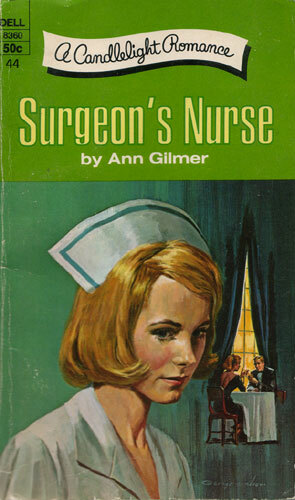 Then one wintery night a car accident placed a famous Senator and his young secretary on the operating table — and amid tragedy, scandal and intrigue, Jill painfully discovered where a nurse’s highest loyalty lay, and what were the true needs of her own beleaguered heart.